Free Shipping Included! Hyperikon 6'' Recessed LED Downlight with Junction Box, Dimmable, 11.6W (65W Equivalent), Slim Retrofit Airtight Downlight, 4000K (Daylight Glow), ENERGY STAR, UL - For Dry/Damp Locations (6 Pack) by Hyperikon at Result BD. MPN: 142C61041-6Pack. Hurry! Limited time offer. Offer valid only while supplies last. View More In Recessed Lighting - Page 4. 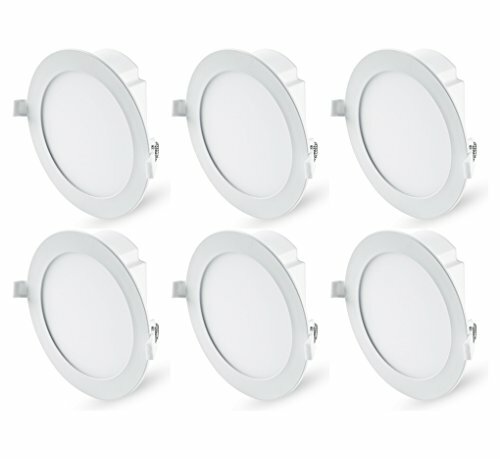 INSTANT SAVINGS - Reduce your energy usage and save on your electricity bill when you use 11.6W LED Downlights as 65W replacements in recessed cans. EASY INSTALL - Installation has never been easier with our all in one solution 6" junction box downlight. Speed up your home improvement projects with our airtight can-less recessed lighting solution. DEPENDABLE DESIGN - Hyperikon's Downlight with J box is air tight to prevent airflow from affecting air conditioning and heating. Install directly into your ceiling!